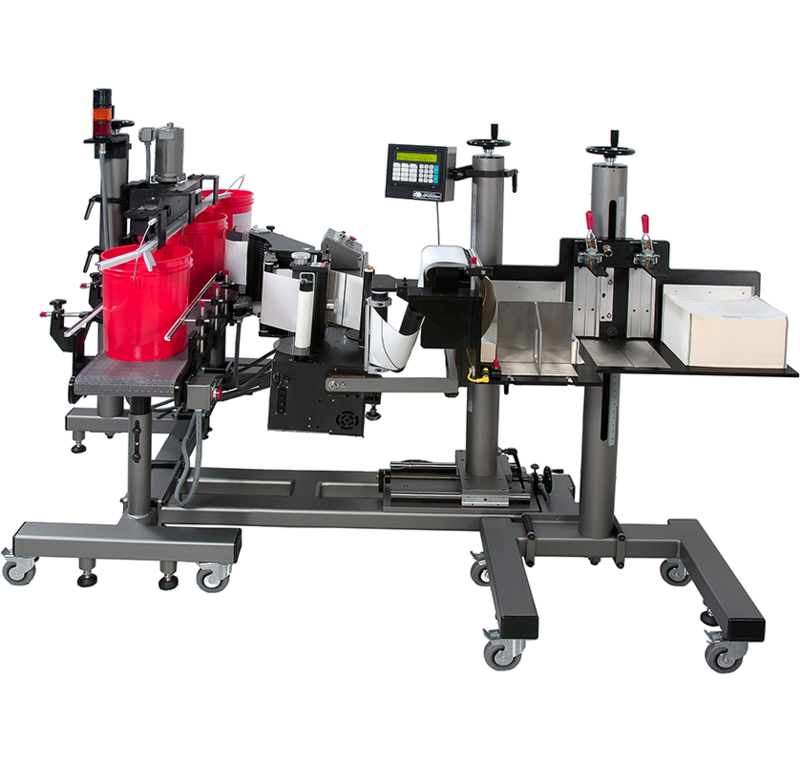 CTM’s 360a Top/Bottom Print and Apply Label Applicator is CTM’s solution for customers who need to label both the top and bottom of a product, simultaneously. 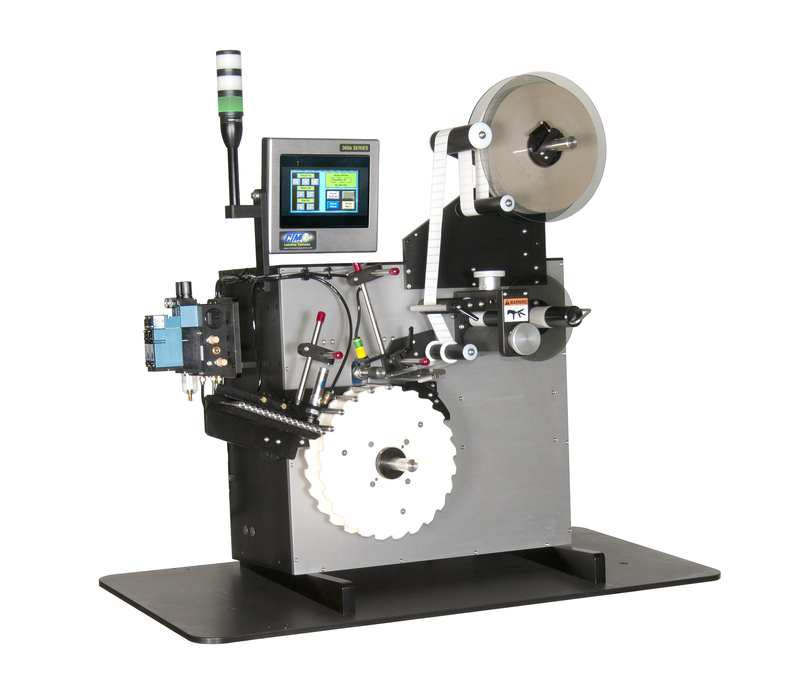 Easily operable due to a number of innovative components, this labeling system has the capability to apply labels of differing sizes at the same time, saving time and resources for our customers. It operates upright and upside down, and can be made available in a left-hand and right-hand configuration for versatility. 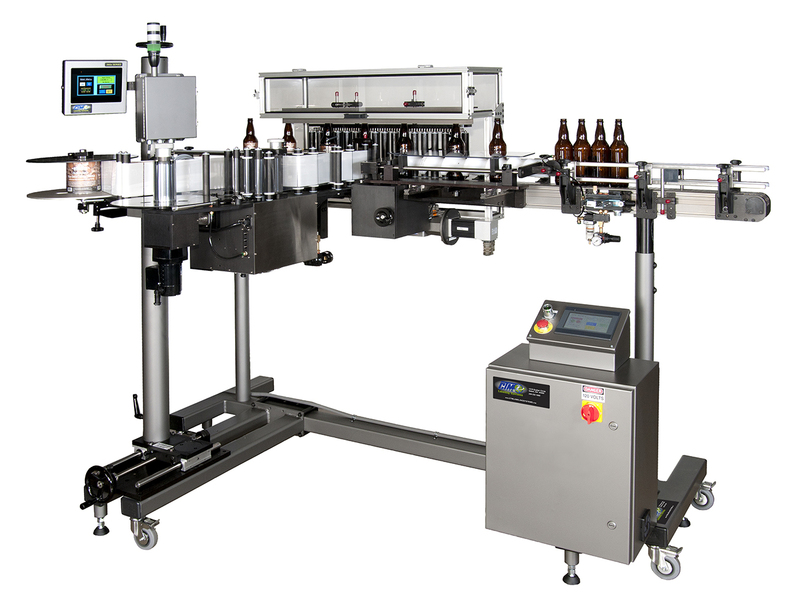 The Top/Bottom Labeler is ideal for customers in the food and beverage industry, who are required by the FDA to adhere to strict standards in terms of health, safety, and sanitization. The Top/Bottom is stainless steel, which means that there is no danger of the machinery rusting, transferring the rust to the products in our customers’ facilities. Similarly, no paint means no risk of paint chips coming into contact with products running through the machinery. Plus, the side frames of the conveyors are entirely flush, ensuring that there are no cavities in which food, dirt, dust, or bacteria can collect. 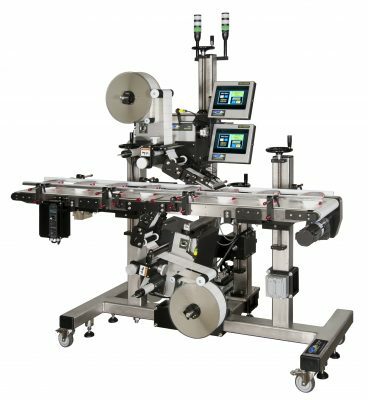 The 3 Light Alarm Stack, Color Touch Screen display, and dual applicator assemblies and conveyors make the 360A Top/Bottom Print and Apply Label Applicator an easy-to-use and customer friendly piece of equipment which integrates seamlessly into the workplaces of CTM’s customers. CTM’s trademark robust build, coupled with our reputable and service-oriented technical support team ensure that CTM’s customers can count on the Top/Bottom Labeler to stay up and running, keeping their projects and their work schedules moving forward without interruption. The CTM split conveyor labeling system consists of two, 3ft. long conveyors positioned in-line driven with a single variable speed DC drive motor to maintain a common speed across a short transfer gap. 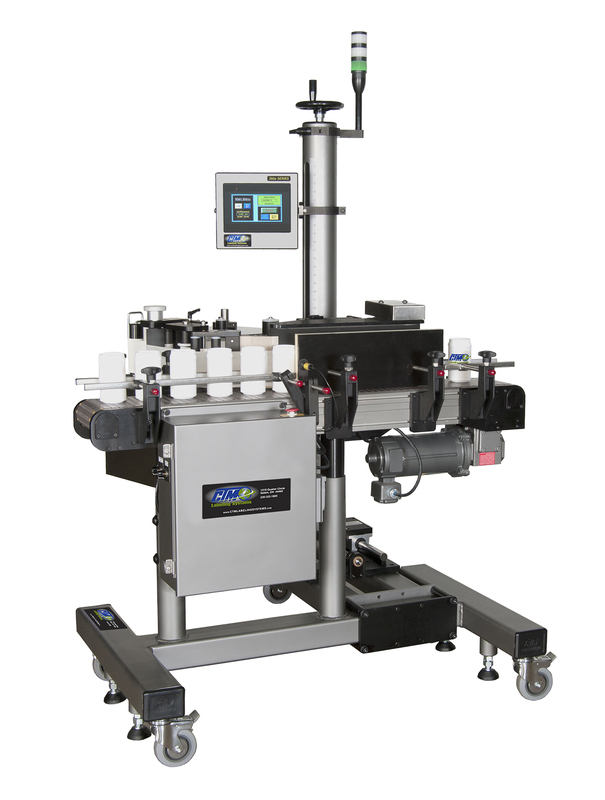 This design allows not only top labeling with any of CTM’s fine line of advanced 360a applicators or 3600a printer-applicators, but the gap allows the use of its merge applicator for wipe on labeling to the bottoms of various products such as trays and clamshells. The conveyors use 12” wide high friction white belting material for product traction and gap transfer, while a “v” section on the underside mates with a “v” grooved stainless steel bedplate for positive belt tracking; side frames are also stainless steel. Main frame and labeler mountings are “Steel-It” painted carbon steel with stainless steel as an Option. 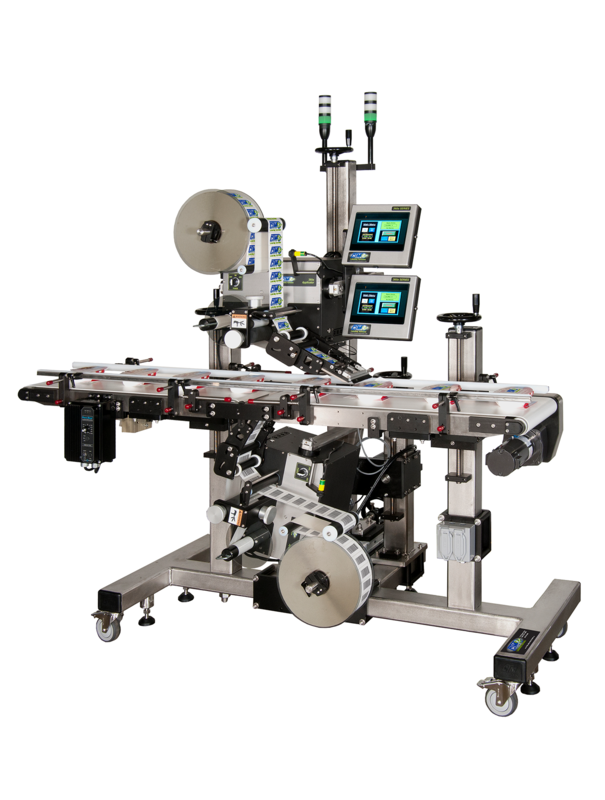 Bottom labeling for print and apply uses the CTM 360a merge labeler with integrated loose loop design. Standard speed is up to 100 ft./minute with option to 120 ft./min. A NEMA 4 enclosure mounted to the conveyor side frame includes an OSHA lock-out. An Optional encoder with splitter cable is used for speed following of both labelers.